Discussion in 'UFC Discussion' started by NandoMoura, Apr 16, 2019 at 5:11 PM. TapSnapBreak, Spath, Beylerbey and 15 others like this. The longer the fight goes, the much more likely it is that Jorge is the one being tortured. Te Huna Matata, dissectingaorticaneurysm, MMACroatia and 61 others like this. cburm, theTKDguy, pseto223 and 9 others like this. Te Huna Matata, MMACroatia, Airdack and 58 others like this. 24K, MMACroatia, Flex Plexico and 10 others like this. Can't wait until Masvidal gets dominated for 15min. Or choked out. Either way, I'm fine with it. John makfresshi, reciprocate, Meathead Jock and 10 others like this. John makfresshi, Psychedelic, An Uncertain Choice and 1 other person like this. Ben Askren is so overrated right now so 95% of people will say he'll beat Masvidal. In fact I can't remember the last time Masvidal was the favorite to win any fight. But I see him TKOing ole Benny. Actually pretty bizarre how overhyped Askren is right now considering this and the non decisive "finish". TapSnapBreak, updowniri, thehighking and 15 others like this. 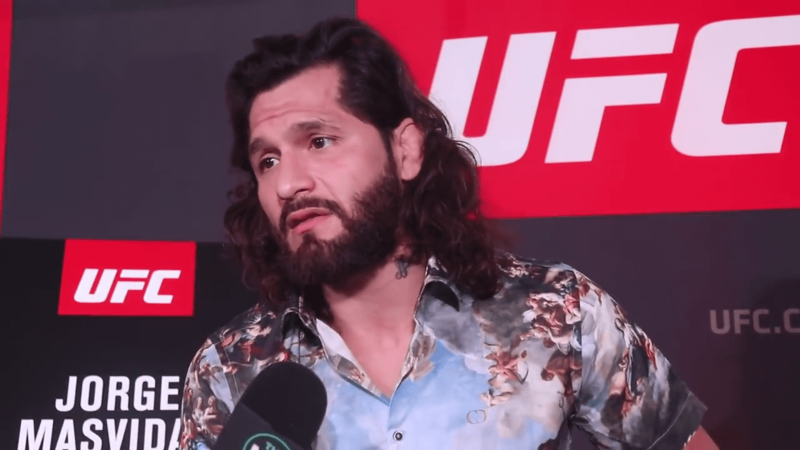 I haven't seen good enough TDD from Masvidal to think that he doesn't get taken down and controlled for the majority of their fight. And he normally doesn't have one punch KO power. Against Till it was an all striking fight in which he had all the time needed to find that one punch. Against Askren most likely he will have limited looks at trying to hurt Ben before he is clinched with and outwrestled. He could win but I wouldn't bet on it. Bad style fight for him I think. MMACroatia, Dacha, davidlemonparty and 3 others like this. Easier said than done. Much more likely it's the other way around. Dacha and John makfresshi like this. Askren does come across as a smug douchebag in all fairness. Titmouse78, Fedor Wearing A Fedora, Only Here for Attachments and 11 others like this. Torture him? what is he going to do, pepper him with bad fast food trash talk for 5 rounds? updowniri, Only Here for Attachments, John makfresshi and 6 others like this. I guess Masvidal doesn't remember his fight against Demian Maia. MMACroatia, Ingjr, John makfresshi and 8 others like this. cabear and An Uncertain Choice like this. Ben hasnt evolved past those HL reels though. The Jorge he is gonna be facing next wrecks those guys Bens riding. Ive been watching Ben his whole Bellator career, even got to watch him warm up backstage when I cornered a Bellator fight when he faced Hieron. Ben was doing some impressive strength drills but thats it, he doesnt even practice striking. I understand he can grapplefuck any WW out there but I personally enjoy him getting lit up instead. And I like most grapplers, at least the ones that are willing to at least improve their standup game over a course of a long damn career. Shcooby Dooby Doo and Silent Liker like this. I like Masvidal, but this is a terrible matchup for him. He couldn't stop Maia's takedowns, so it seems likely that Askren would take him down at will. John makfresshi, Sarge3000 and Area809 like this. ScoopSubMMA, John makfresshi and LHWBelt like this. Ben Askren has bigger challenges in his way before he fights you Jorge. Wait your turn. Askren will handle Masvidal. He ate everything Robbie threw at him and Mas don’t have that sorta power. Te Huna Matata, John makfresshi, Sarge3000 and 2 others like this.